There’s a popular theory that makes its rounds at the beginning of every year. It’s the idea that Super Bowl Sunday is one of the best days to go to Disneyland. On paper, the theory certainly sounds plausible. After all, over 100 million Americans watch the Super Bowl. That must surely have some kind of impact on attendance at “the happiest place on earth,” right? It’s pretty much a national holiday! 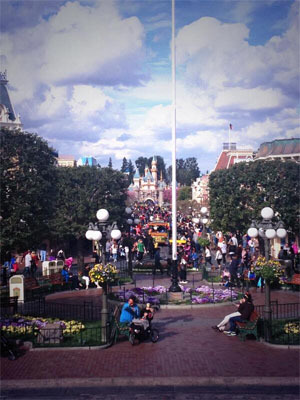 Is Super Bowl Sunday really the least crowded day of the year at Disneyland? Far from it. We’ve been tracking crowds at the Disneyland Resort for years now and can safely say that the Disneyland isn’t crowded on Super Bowl Sunday theory simply isn’t true. 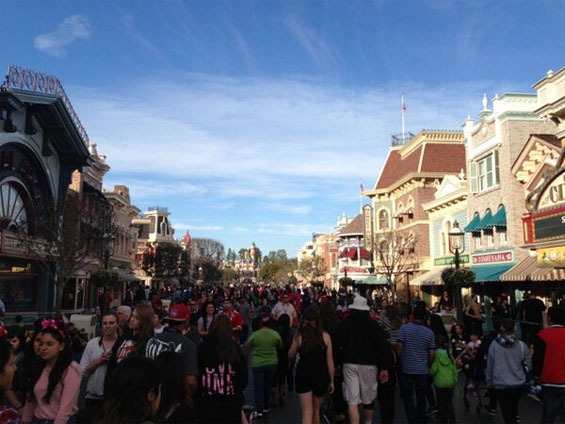 In fact, Disneyland tends to be busier on Super Bowl Sunday than a normal Sunday that time of the year. Year after year, Super Bowl Sunday attracts decent-sized crowds to the parks. All annual passes (except for Southern California Select APs) are valid, so it’s a popular day for annual passholders to visit the resort. A much better bet for short lines would be to head to Disneyland on the weekdays before or after Super Bowl Sunday, which are hardly ever crowded. 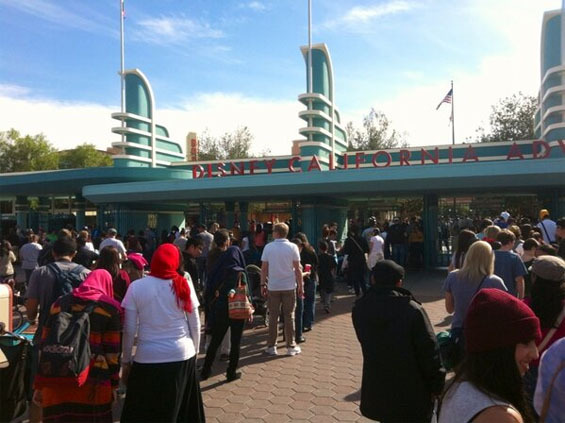 So, when exactly is Disneyland least crowded? If you’re looking for light crowds around the time of the Super Bowl, you’re in luck. Weekdays after the holiday season in January and February (except for Presidents Day week) are historically some of the least crowded days of the year. The crowds don’t pick up until March for the Spring Break season. Weekdays after the summer season (after Labor Day) in September are also traditionally very slow times. It gets busier again in October, however, for the Halloween season. Check out the Disneyland Crowd Forecast Calendar for the best and worst times of the year to go. Have you visited Disneyland on Super Bowl Sunday? What was your experience like? Be sure to let us know in the comments below! I had that “hey! No one will be at the Park!” theory once. Once. I discovered that everybody not watching the game had the same idea. That was 2006. It was definitely busy and just gets busier. Went once on super bowl Sunday and it was awful. Miserable. Don’t believe them when they tell you it won’t be crowded. I don’t even remember what year it was that we made the horrible mistake of going on Superbowl Sunday, I am talking maybe 10 years ago. We could not even move. I believe this was in the past before they started closing the park due to being maxed out capacity wise. With two young kids, it was miserable, so we ended up leaving and calling it a loss.